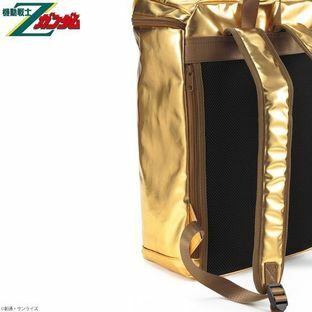 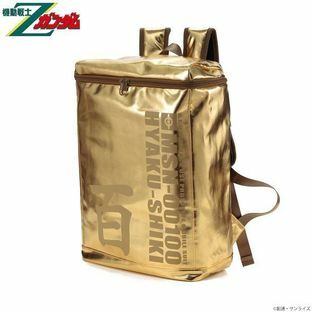 This box-type backpack for the MSN-00100 model shines like gold. Designed with the A.E.U.G. 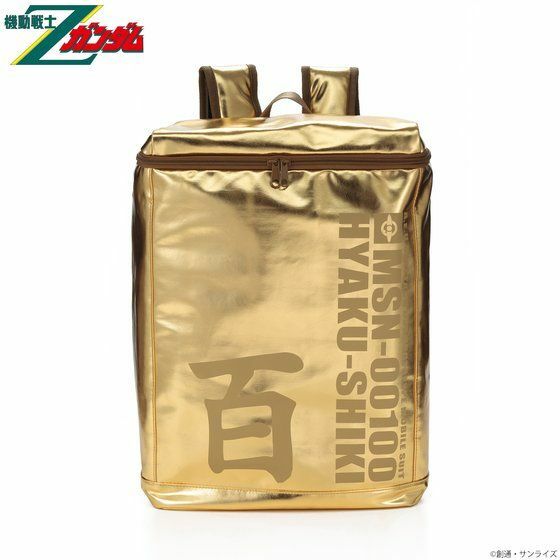 logo and model number, the impactful "Hyaku(百)" Kanji character is eye-catching. 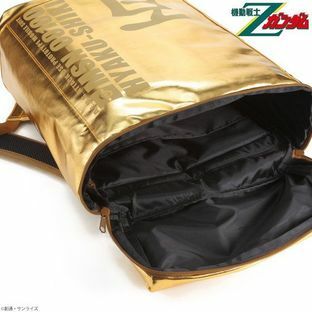 A large pocket inside can be used to store small items. 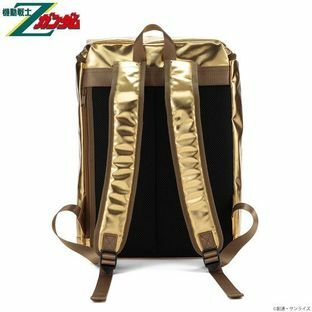 vMay Slightly Differ From the Actual Product.